The visual arts can be enjoyed by watching artists in action, attending seminars, and buying souvenirs. You can even participate. The paint-by-numbers mural was one of our favorite experiences last year. We are looking forward to doing it again this year. That and the Animation Academy are high on our to do list. There are even special photo ops where you can literally step into masterpieces. Always a fun to do with friends and family. Disney on Broadway brings the performing arts to Epcot. Stars from Broadway shows discuss their careers and sing Disney songs. There are different performers throughout the festival. Of course what would an Epcot fest be without food booths. And the culinary arts are well represented. There are 14 booths this year selling food and drinks similar to Food and Wine, but, in our humble opinion, better. The options are slightly more expensive, but the quality, creativity, and presentation, make it well worth it. The International Festival of the Arts is less popular than the other festivals, given that it is only in it’s second year and is held during a generally slow time of year. This makes for the most pleasant experience. But just because it is smaller and less popular doesn’t mean you shouldn’t do some planning to make sure to optimize your time. The same planning principals for Food and Wine apply to the Festival of the Arts. Check out our planning guide for Food and Wine Fest here. 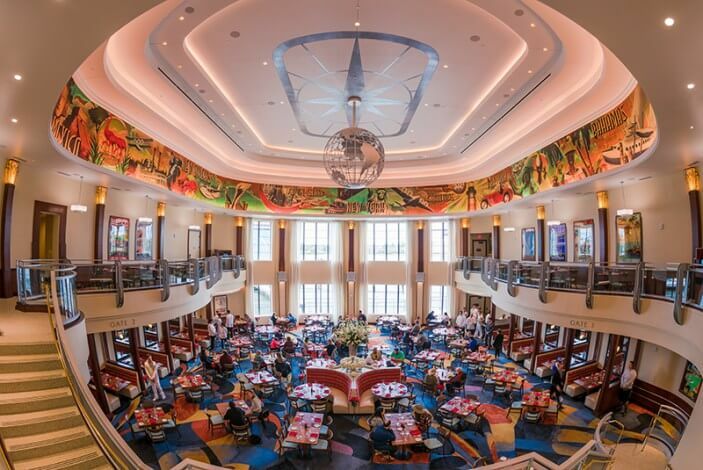 For a complete guide to this year’s Festival of the Arts, check out the Disney Food Blog. One of the benefits of planning ahead means knowing what can’t be missed. 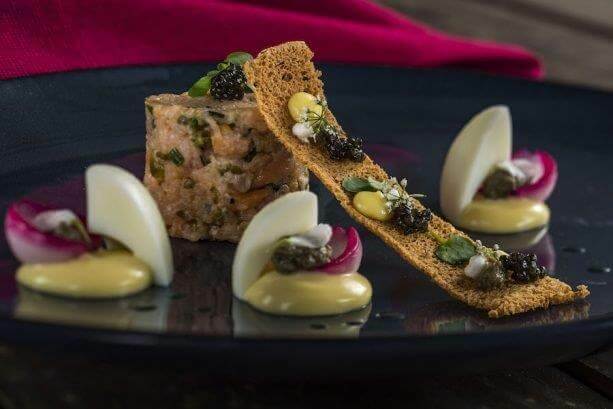 Food wise we’ll be heading to the Masterpiece Kitchen and Deconstructed Dish first. Artwise, we’ll be checking out the Animation Academy. And Drinkwise, we’ll be drinking all the drinks. 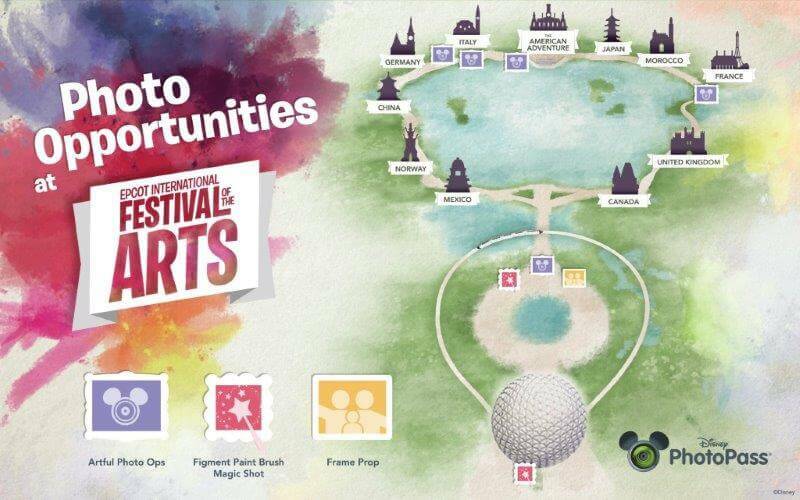 If you’ve been to the Epcot Festival of the Arts leave a comment below for what you are looking forward to most. 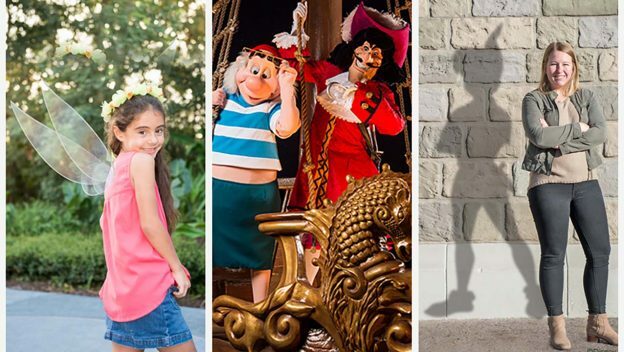 In honor of Peter Pan’s 65th anniversary, there will be special photopass opportunities at the Magic Kingdom from February 4th through February 10th. Hook and Smee, characters who don’t usually meet, will be available for photos. There will also be special photopass stops where you’ll have Peter’s shadow, or transform into a fairy, or be joined by Tink. You can find the photographers on the bridge next to Sleepy Hallow Refreshments, Main Street, and the Partners statute. Hook and Smee’s will be meeting in Fantasyland. 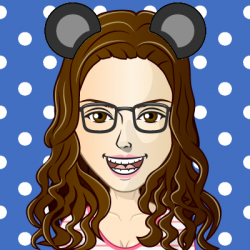 Because of course when you think Superbowl you think Disney. Wait, you don’t? All kidding aside, while the Superbowl isn’t a Disney event, if you find yourself at Disney World and want to watch the Superbowl, there are plenty of places to watch. If you are looking for a Superbowl party atmosphere, ESPN Club at the Boardwalk has a special event. It costs $100 per person (credit towards food and drinks, so basically all you can eat and drink). If that isn’t your thing, there are many bars and lounges at the resorts with TVs that will be showing the game. Crew’s Cup at the Yacht Club comes to mind, and will likely be full of Patriots fans. Take that as a warning or invitation. Many pool bars also have TVs if the weather is warm. In addition, bars and restaurants at Disney Springs such as Splitsville and Planet Hollywood will be showing the game as well. If you are interested in catching the game on Disney property check out Disney Tourist’s Blog rundown. Taking advantage of the cool(er) winter weather, runDisney is hosting another half marathon weekend February 23-25. 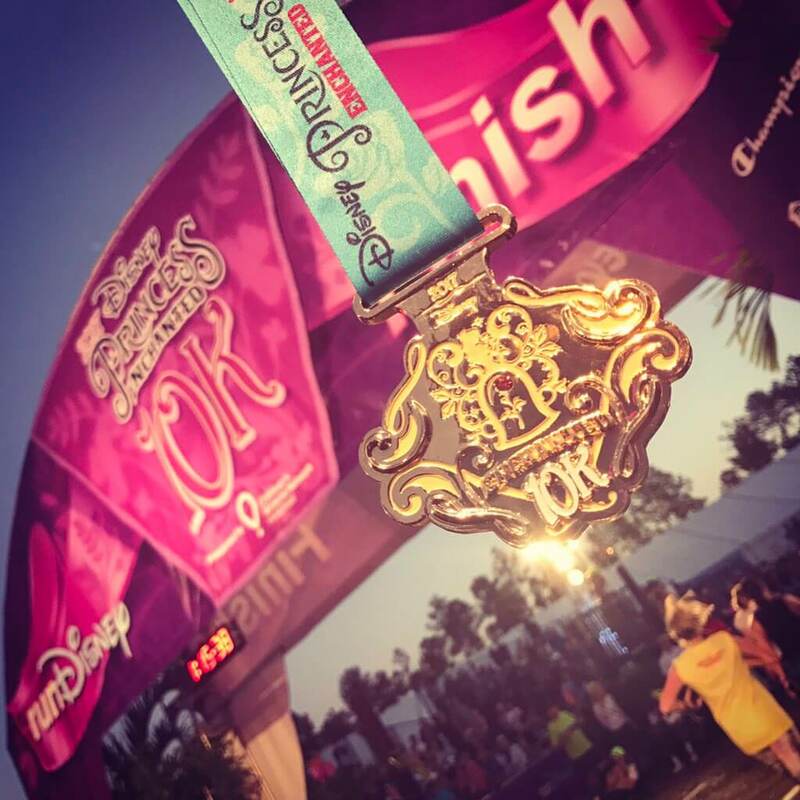 If you are wondering about runDisney, check out our primer. There is a 5k on Friday morning, 10k on Saturday morning, and the Half Marathon is on Sunday morning. I’ll be running in the 10K. Leave a comment and let us know if you’ll be running this year. Even if you aren’t running, check out the runners in costume, merchandise (and characters) at the Expo at the ESPN Wide World of Sports Complex, and activities at the start and finish lines. Paddlefish, the restaurant in Disney Springs is hosting a 4-course crab dinner event on February 21. Tickets are $75 and it is 21+. You can find more information here. In the last few weeks several new restaurants have opened in Disney Springs. While these aren’t February only offerings, they are new things to check out. The Edison finally had it’s long awaited opening. Based on reviews, we are really looking forward to checking this out for both a meal and the nighttime entertainment. 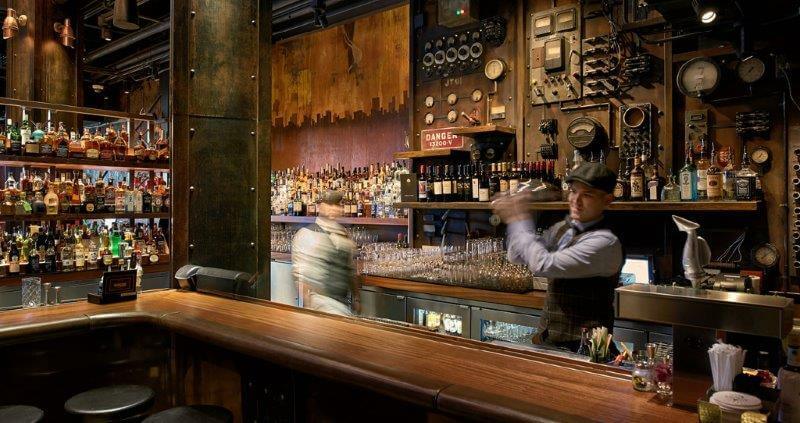 The Edison is a steampunk themed restaurant that turns into a nightclub type experience. It is 21+ after 10 p.m. when “risqué” acts come out and some of the tables are cleared away for a dance floor. The signature drinks sound amazing. And the food, which has been described as American Plus, is intriguing. They had us at bacon clothesline, prime rib and lollipop tree. Don’t forget there is a dress code. It’s not super fancy, but if you wear basketball shorts and flip flops you may have an issue. The other restaurant we can’t wait to try is Maria and Enzo’s Ristorante. Because Italian food! The art deco décor is also a nice added bonus. The calamari and the pasta dishes are on our list, as is the adffogato dessert. Enzo’s Hideaway Tunnel Bar and Restaurant, and Pizza Ponte have also opened in Disney Springs recently. They are part of the same group as Maria and Enzo’s but the reviews haven’t been as good and we’d recommend skipping those in favor of Maria and Enzo’s for now. Major announcement – Le Cellier’s famous cheddar cheese soup is now available for us peasants without a reservation all year round at Refreshment Port in Epcot. This is one of the best soups on property and now you don’t need a reservation or to wait in line at the Canada Marketplace during Food and Wine Festival. If you want to know more about this soup check out our review. 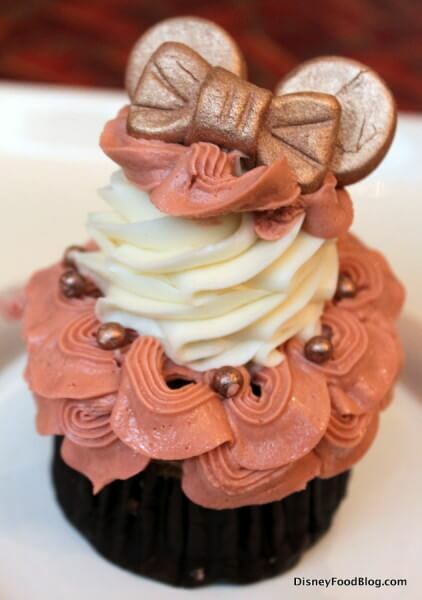 Rose Gold Minnie cupcakes are now available at Sunshine Seasons at Epcot, and Main Street Bakery in the Magic Kingdom. As with everything instagramable, rose gold, and limited edition, go early in the day if you want one. Disney hasn’t said how long these will be available, but we wouldn’t be surprised if they were gone by month’s end. 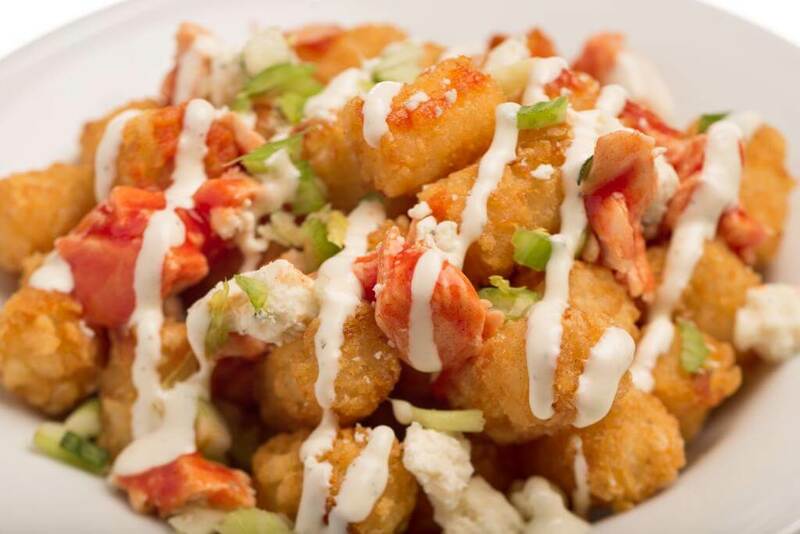 Friar’s Nook in the Magic Kingdom will start carrying loaded tots this month. Greek, fiesta and buffalo chicken tots are new snack options much needed at the Magic Kingdom. We’ve added the buffalo chicken to our to do list. No one wants to get excited for an attraction only to find it closed when you are there. It is even worse to discover that you missed a beloved attraction that will never reopen or have a big change. Pirates of the Caribbean in the Magic Kingdom is closing for a refurbishment from February 26 through March 18. Rumor has it the auction scene and the red head will be removed. If you want to see it one last time, be sure to see before February 26. Circle of Life at Epcot is closing permanently on February 4th. Disney likes to keep us on our toes and coming back, so don’t be surprised if there is more new food and menu changes or even special events coming. We will be keeping you updated on twitter. We were there two weeks ago and LOVED the Arts Festival. The photo booths were so creative and the food was incredible! It is my favorite festival that they do at Epcot. It’s a very well rounded experience. I’m so glad they added it last year. I hope to make the arts festival some day. I’m really curious about it. Went for the holiday festival and it was the first time we paid attention to the festival activities as opposed to just doing the permanent EPCOT attractions and it was such an enrichment to the visit. The festivals really do add something special to Epcot. And the arts festival does so even more in my opinion because of the art and the ability to participate. Definitely bring Epcot back to what it was meant to be.